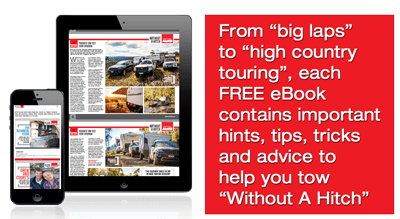 Auto or Manual: What Works Best When Towing a Caravan? Towing your caravan, auto vs manual - which is more efficient? We break it down. > Caravan > Auto or Manual: What Works Best When Towing a Caravan? Towing a caravan demands a high level of vehicle performance and driver skill. Are you better with a manual or automatic transmission in your towing vehicle? Everyone has an opinion on auto vs manual and what is the best car for towing a caravan – however, this isincreasingly becoming an academic argument as some manufacturers no longer even offer a manual option on certain models. What’s more, you might find that vehicles fitted with auto transmission are rated with a much higher towing capacity than the manual version of the same vehicle. There are really no outright arguments for one or the other, so let’s weigh up how manual vs auto cars rate in different situations. Off-road or on uneven ground. Generally, a vehicle with a manual transmission outperforms an automatic in rough terrain because the driver can be pro-active with the throttle and gears. On the other hand, driving in soft sand is easier with an automatic transmission as there’s no loss of momentum due to gear changes. Hazardous driving situations. An automatic allows the driver more control in bad weather or dangerous situations because there’s no hesitation, break or loss of traction through gear changes. It’s one less thing you have to think about at the time. Large loads. The size of the load you’re towing can play a role in which type of transmission is more favourable. Often, vehicles with automatic transmissions will have a greater allowable cargo load than those with manual transmissions, mainly because shifting gears when towing large loads with a manual can cause damage to the clutch. Overheating. Manual transmissions have no problem, but if you’re towing a laden caravan with an automatic, you might consider installing a transmission cooler to prevent overheating from the added weight. Check with your vehicle’s dealer or a reputable automatic transmission specialist to see if it is applicable. Going down steep hills. Some drivers prefer the greater level of control afforded by a manual transmission, while others are more than happy to lock their five-speed auto in second gear and let the engine braking do the work. Hill starts. No doubt about it, an automatic transmission makes starting on a hill easier when you’re towing a heavy caravan as you’re less likely to lose traction or even burn out the clutch. Staying alert while driving. Manual drivers will swear that the very act of having to constantly change gears keeps them active and alert. Maintenance. Vehicles with auto transmissions generally require less maintenance and are more reliable in the long term than those with a manual gearbox and clutch. Comparing automatic to manual transmissions is a bit like choosing limes over lemons for your Corona or G&T – they both do the job, it’s just down to personal preference. Looking for a new vehicle? We review the four best cars for towing your caravan or RV.